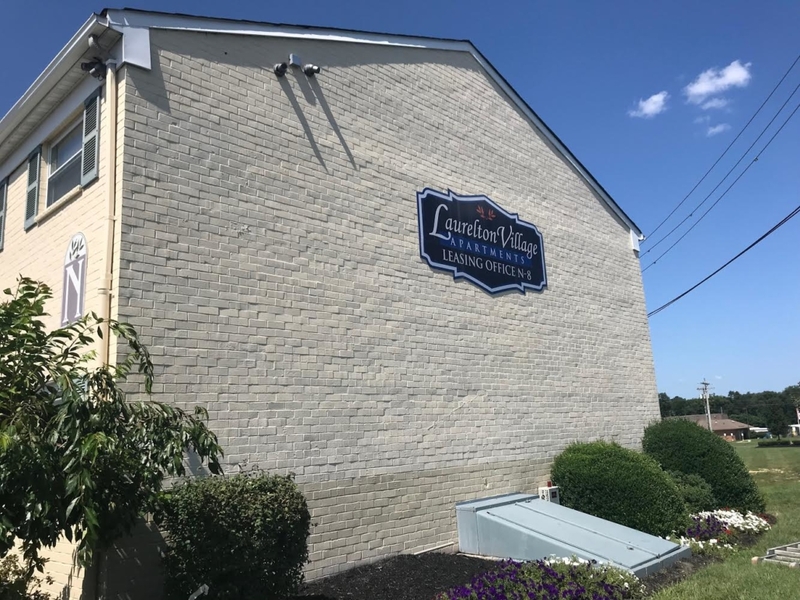 As part of their exterior maintenance plan, we visit an apartment complex in Williamstown, New Jersey, and coat one building each year. This allows us to incrementally move throughout the property, protecting their exterior surfaces on a predictable schedule. Having this kind of maintenance schedule is definitely valuable, and so is the coating we use. Specifically, it’s an elastomeric coating, and if your home or business has masonry surfaces, you might want to consider it. Why? Let’s take a closer look. Are Your Masonry Surfaces Protected? Masonry is strong, durable, and practical in many ways, but as it ages it becomes more and more vulnerable. The biggest issue we encounter is moisture damage, especially from wind-driven rain that blows right into the compromised surface. Moisture intrusion is a major issue, and will only grow more extensive if it isn’t prevented at the source. The elastomeric coatings we use are a high-build product, specifically designed to protect masonry surfaces. If applied correctly, they essentially create a waterproof system that offers an invaluable barrier against the elements. Superior Hide – It often takes fewer coats of an elastomeric coating than exterior paint to achieve the same desired results. Many property managers will use just one coat to save labor costs, since it offers the same mil thickness as two coats of exterior paint. Waterproofing Properties – As we mentioned above, elastomeric coatings can create a waterproof system if all the specifications and correct application procedures are followed. Generally, this level of complete protection calls for two coats without pinholing (this can leads to peeling, if applied incorrectly). Protects from Wind-Driven Rain – Wild, wet, windy weather can spell disaster for your paint, but elastomeric coatings are designed to stand up to more extreme weather events than typical exterior products. Bridges Hairline Cracks – Stucco always cracks a bit, especially with the natural settling of a property over time. Hairline cracks are nothing to worry about, however, especially when you use an elastomeric coating that easily fills them in. Larger cracks need to be patched prior to application, but the little ones will be filled as we go. Is an Elastomeric Coating ALWAYS the Best Option? If your home if painted already, and the coating is in sound condition, it may not be necessary to use an elastomeric coating. Typical exterior house paints will cover more square feet per gallon, resulting in less paint needed to complete the job. If there are multiple coats of paint on your stucco, it may not be a good idea to paint again with an elastomeric coating. Elastomeric paints are high-build coatings, meaning that they weigh more than a typical paint. If the coating under the elastomeric is not tight to the substrate, it could be pulled away from the stucco by the sheer weight of the new coating. Our best recommendation is to give us a call so we can talk about your specific New Jersey property, and help you determine the best paint or coating solution for your needs. It would be our pleasure to put our decades of local experience to work for you.